Do you want to wear a rainbow? Well, now you can! 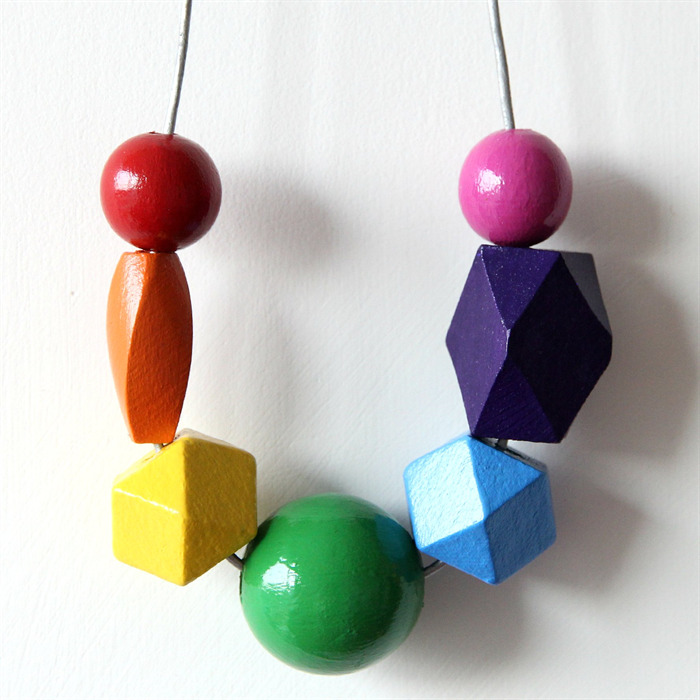 Here you can choose your very own rainbow necklace to wear, like the "Choose your Own Adventure" books I read as a child. 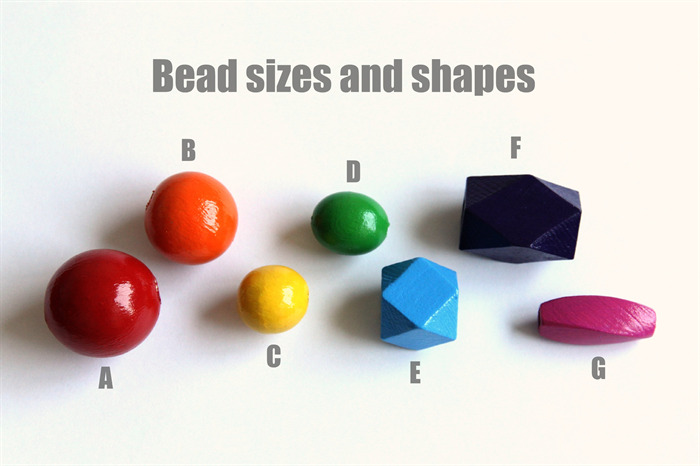 You choose the size and shapes of your rainbow beads. Alternatively, select one of my 9 different styles, see photos above for the 9 different styles. All beads are hand painted by me. 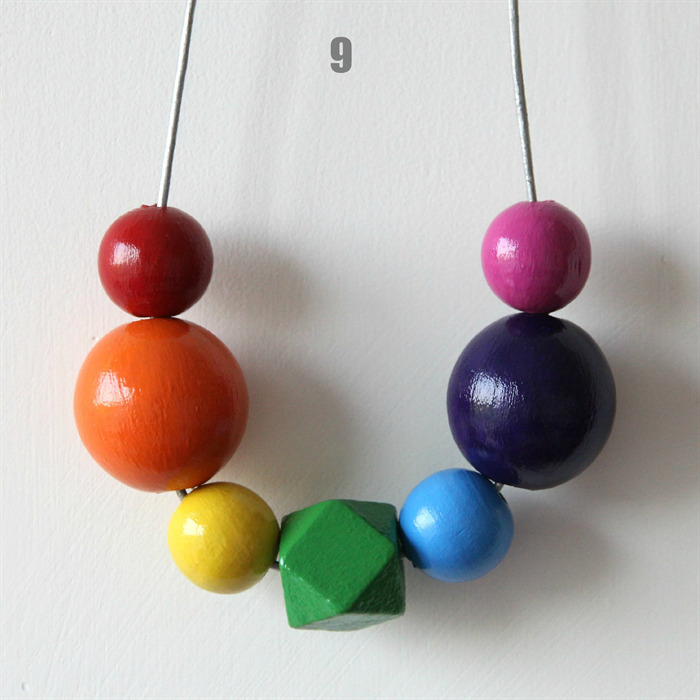 Each bead has at least 2 coats of acrylic, non-toxic paint. 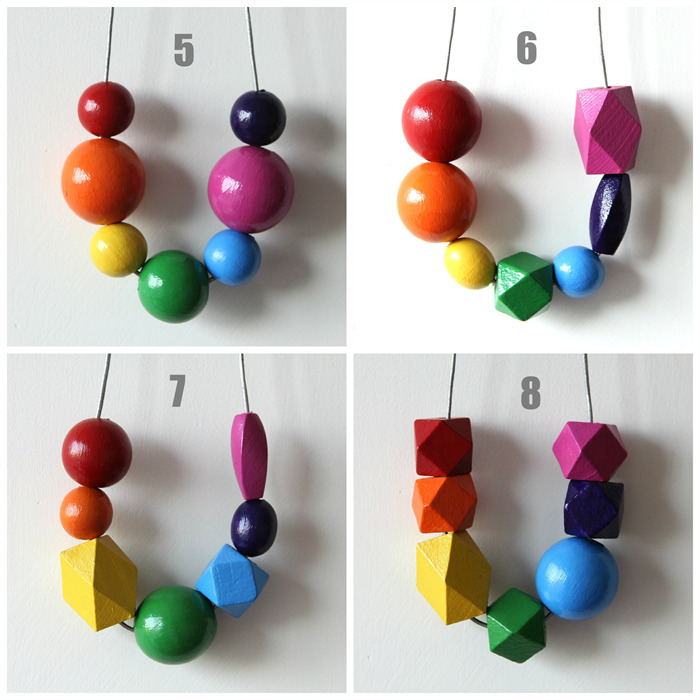 Each bead is then finished off with gloss varnish (non-toxic, of course). Your rainbow is strung on a black or silver leather cord, tied in a knot. This knot can be adjusted to suit your desired length. 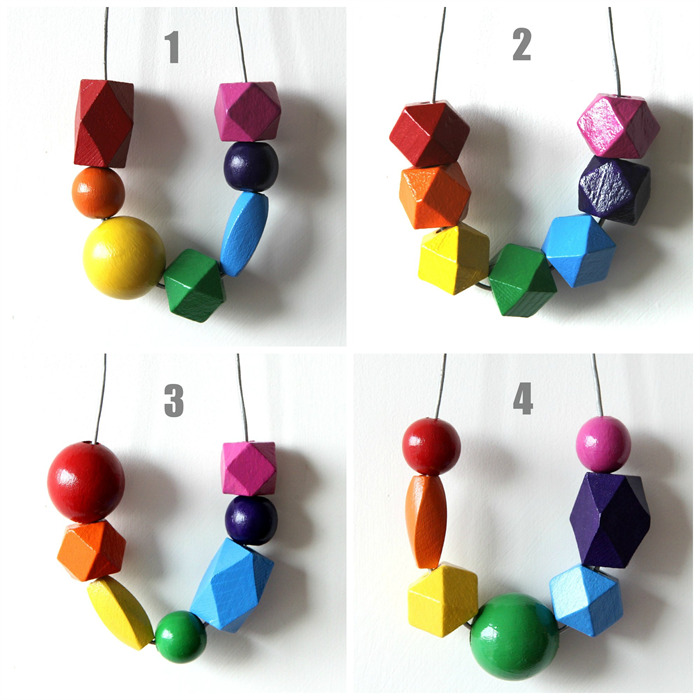 The seven different shaped beads I have can be seen in one of the photos. If you choose your own rainbow adventure option, please put your choices in the notes to seller section. Each necklace is made to order and may take me 1-3 days to complete. I accept PayPal. For Australian buyers, I also accept direct bank transfer. Please ask me for banking details on check out. I will post anywhere on the planet, please ask for a postage quote for your part of the world so I charge you the correct amount.